In case PowerDVD plays videos too bright (making black look like grey) this might happen because PowerDVD outputs videos in a limited dynamic range (16-235). In this case black starts at 16 instead of 0. 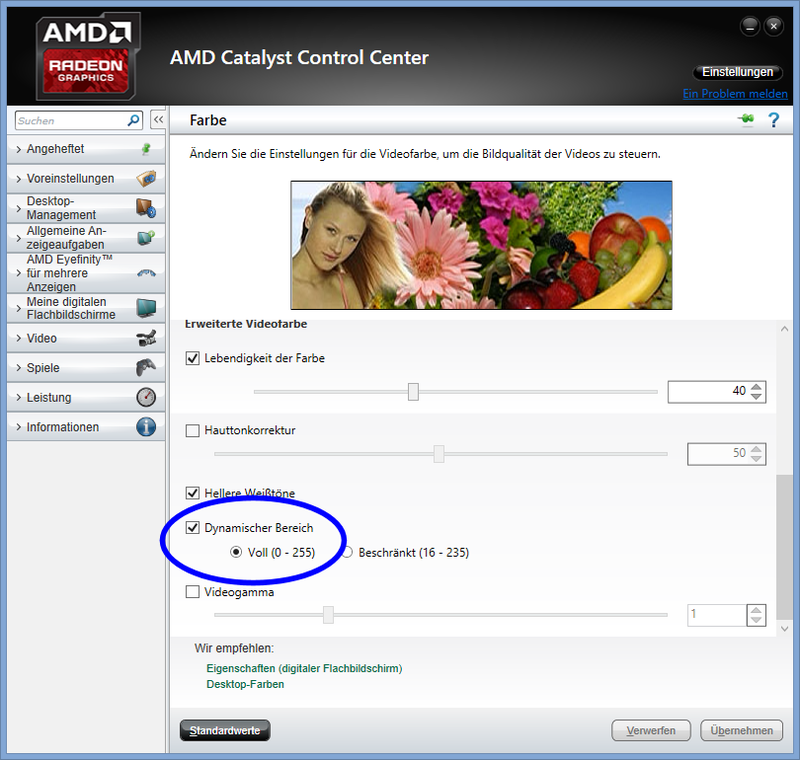 At least in the AMD Catalyst Control Center the problem can be solved by selecting/forcing Full (0 – 255) for the setting Dynamic Range. Take a look at the screenshot above where the relevant option is marked. Dieser Beitrag wurde unter Digital Life abgelegt und mit amd, black, brightness, catalyst control center, dynamic range, dynamischer bereich, helligkeit, power dvd, powerdvd, radeon, schwarz, too bright, zu hell verschlagwortet. Setze ein Lesezeichen auf den Permalink.